As a licensed psychiatric nurse retired from a super-max prison, I am very pleased to see this new section on health added to our forum. First, Carroll is RIGHT. Frequent hand washing is THEE ONE THING everyone can do... and it DOES reduce the transmission of disease... especially to YOU! Hand washing and keeping the hands/fingers away from the eyes, nose and mouth. "Finger licking good" is just a sales expression, folks. If you're gonna lick the barbecue sauce off yur fingers, ya better have washed yur hands before ya picked up the drippy-good gooey sandwich! ... or the same goes for licking that wonderful, sweet sugar from the donut off yur fingers... oh, and potato salad is not a finger food, tsk tsk. Even as a 65-y.o. nurse, I have avoided facing "THE" procedure. (Sigh,) yes, I admit to being among the "don't come anywhere near me with that 50-foot garden hose" group. Men especially are not fond of "THE" procedure. But seriously, guys, it's an important exam. I know, I know... I've avoided it too for about 15 years beyond it's "due date." It's just that, as a Thanatologist, I've held the hand of colon cancer patients and been with a few at the moment of their death. 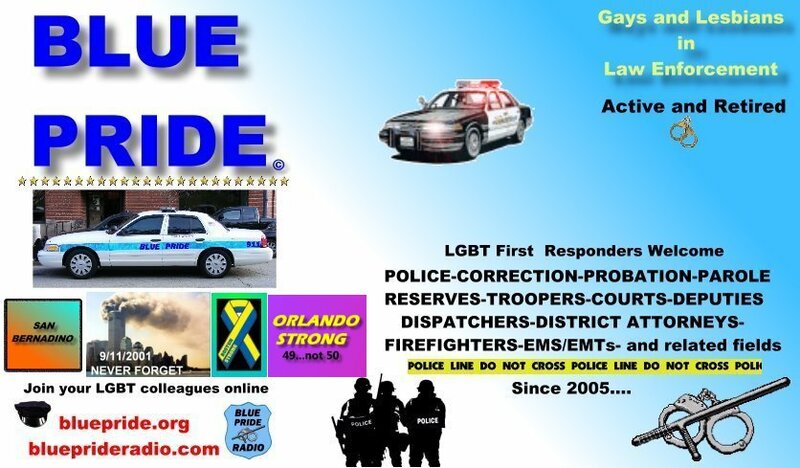 I don't want any of our Blue Pride family to be victims of that painful end... an end that is avoidable. Hope you pass with flying colors!!! Bear, thank you, thank you, thank you for bringing up the topic of colonoscopy. Having one can truly save your life. I had one just before we came to Florida and the doctor told me I was so clean that I didn't need another one for ten years. I had been after Stephen to have one but he kept putting it off. Finally, two years ago, I managed to get him into the doctors office. He had the colonoscopy and they found a polop during the procedure. They cut it out, tested it and it was cancerous. Lucy for us, they found it earlty and it had not spread so my hubby is now ok. Now they want him to have the test every year and so help me GOD, I don't care if he's kicking and screaming, he's going back to the doctor for an annual test. So all you older guys, heads up. Go and get that test. It saved my hubby's life and it could save yours. Hey Maxewlldaemon. I used to give all my first dates a colonoscopy but I didn't have a light on the end of the probe!!!!! Many thanks to our own Maxwelldaemon and Carroll for their added personal experiences. In the way of a little update and frank talk, there is now a new over-the-counter medication method of cleaning out the lower plumbing. No longer must one drink 18 gallons of liquid chalk (well, it seemed like that much.) Ask your doctor, folks. Yes, one must still remain close to the toilet (we're being honest here) but it is now much easier and very effective. Also, please know that finding polyps is VERY common! And, by farrrrr most of them are absolutely NO problem. Still, they are removed so they don't BECOME cancerous. When they are removed, they cannot develop further. I agree. It is an important procedure, and over the years it has become less of a deal. The very first time I had one I was still trying t be a staight man, and yeah it was uncomfortable, but eventually it was just another part of the physical and no big deal. And okay, if you're a 100 % top (does that really exist?) the first time is going to shock you, but the results form ignoring it would be a lot more shocking. Even better! Try having a colonoscopy and an endoscopy at the same time. Sort of like a 3 way. I don't have to go for my next "procedure" for another two years. My hubby says that I'll have no problems because a Gryhound Bus could fit up there!!! I have no Idea what he means by that!! Our own beloved Carroll and EMT431 are being naughty. (Bear consults his old Psychiatric Nursing texts...) Flip, flip, flip... OH YES, HERE it is! ... "Colonoscopy scope hose with Senicruiser Double-Deck Greyhound Bus Attachment." Tsk tsk! CARROLL! And EMT431 is almost there... my text says for it to be a true 3-way, it must be an Endoscopy, Colonoscopy and a FOLEY CATHETER. Okay... DEEEP BREATH, now.... we'll start you out on your back and then ROLL on your left side, please! P.S. Tomorrow, I start the "PREP" for "The Procedure" on Thursday. And, I'm accepting opening bids for the video! uh, Carroll, WE DO !!!! Oh my God!!! All this medical humor!!!! This is certainly turning into an interesting little thread here!!!! I think I'll skip dinner tonight!!! Mark. The prep is far worse than the procedure. Just when you think you can't go any more it's time to go again! As far as that Greyhound Bus...I think GOAL/NE rented it for a trip to NYC in June of 2002. Yup! I'm gonna put racing stripes on my walker! After Bear has his"procedure"He's coming down to Florida for a while to stay with friends in Sarasota. So, Stephen and I will be driving up from Venice to spend lots of time with him. He doesn't know it yet, but he's going to go swiming in the Gulf of Mexico, eat loads of foods that make you fat, drink extra strong Margaritas and stay up late every night.